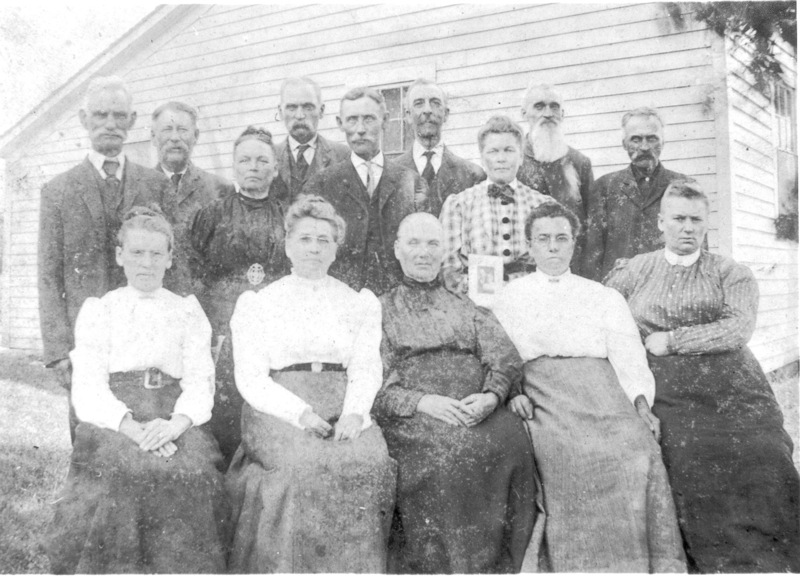 Comments: BERNIER (Nee: Bernier and Steffenson and) | Kankakee IL USA | 1851-1900 | Comments: Some are known all the way to the Right both rows are Joseph Henry Bernier and Wife Eleanora Steffenson. Another of the individuals is Ezilda Bernier and her husband Frank Le Roux. Many of these may be the children of Louis Bernier and Charlotte Brouillet Late 1800. It may have been taken in Muskegan, MI or townships near there.